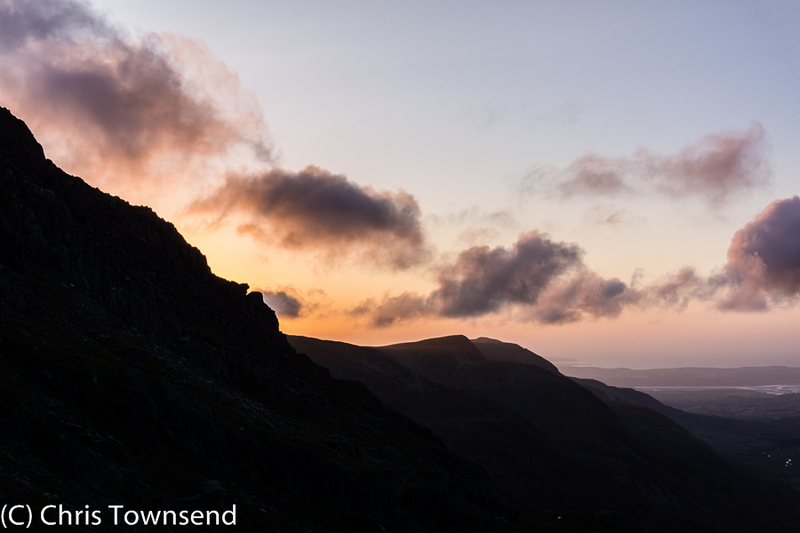 The July issue of The Great Outdoors is in the shops now. 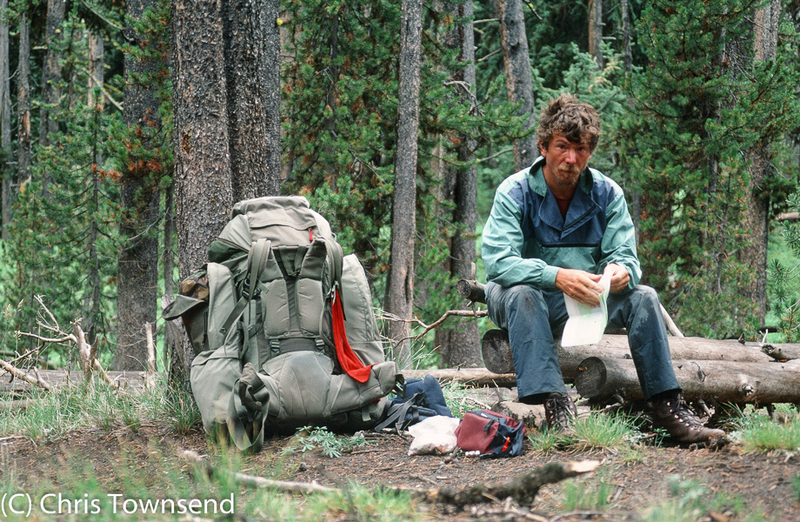 My backpacking column is about the Continental Divide Trail, which I was hiking thirty years ago (see this post for more pictures). Looking at my CDT journal I see that on this day, June 27, in 1985 I was in the Helena National Forest in Montana and I walked 15 miles from one woodland camp to another, passing the 350 mile mark - so still early on in the 3100 mile walk. In the gear pages I review ten of the latest backpacking tents. 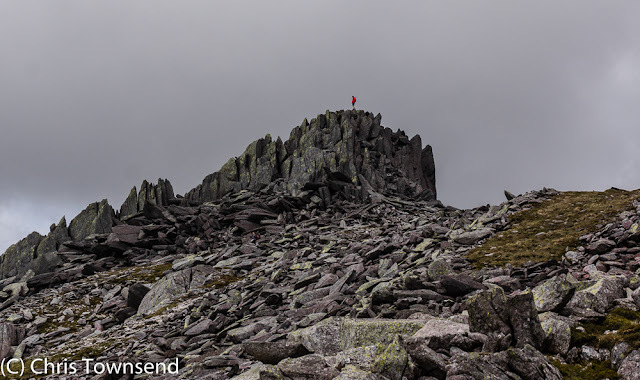 Elsewhere in this section mountaineering instructor Kirk Watson looks at some kit for serious scrambling - ropes, harnesses, protection, helmet, footwear - and Daniel Neilson tries the new Berghaus Light Speed Hydroshell waterproof jacket. 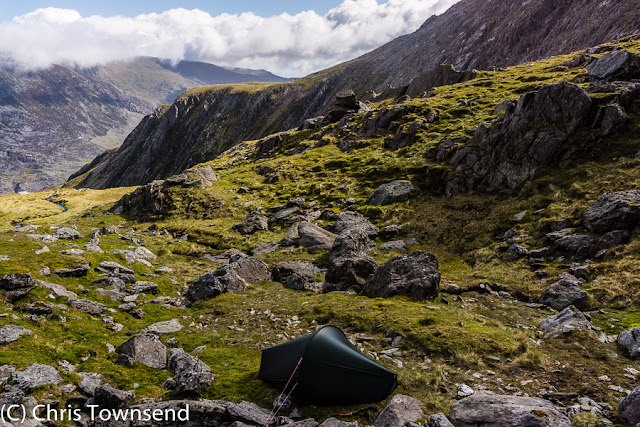 Also in this issue there's a report on this year's TGO Challenge (2015 saw the 8000th crossing and age ranges of Challengers from 22 to 85), plus suggestions for thirty-three adventures in Britain ranging from the Cuillin Ridge Traverse and backpacking the Pennine Way to building an igloo (with a picture of me sitting on one on the Moine Mhor in the Cairngorms). 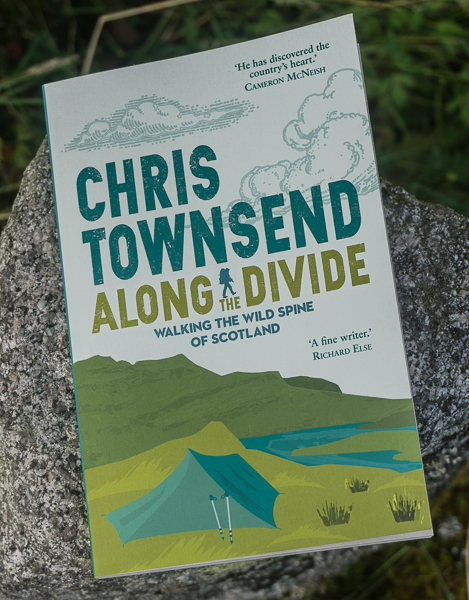 Ronald Turnbull follows in the steps of poet Samuel Taylor Coleridge's night-time walk over Helvellyn in 1800; David Lintern describes his recent coast to coast trip via Scotland's highest peaks by foot and packraft; and Max Landsberg hikes the Alpine Pass Route in Switzerland. 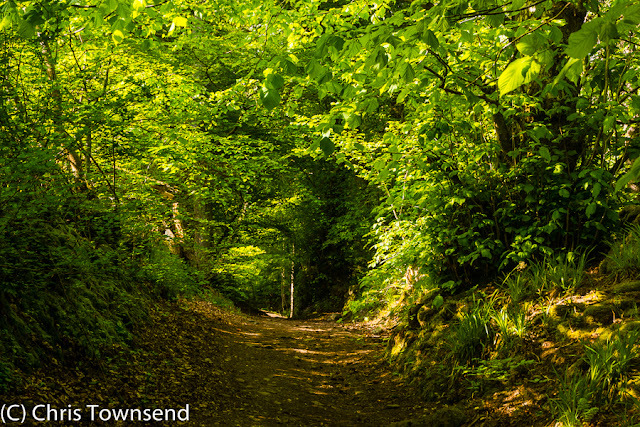 Back in Britain Ian Battersby suggests a leisurely approach to the Three Peaks of Yorkshire; Carey Davies finds nature in a sliver of woodland in Manchester; and Roger Smith worries about litter. 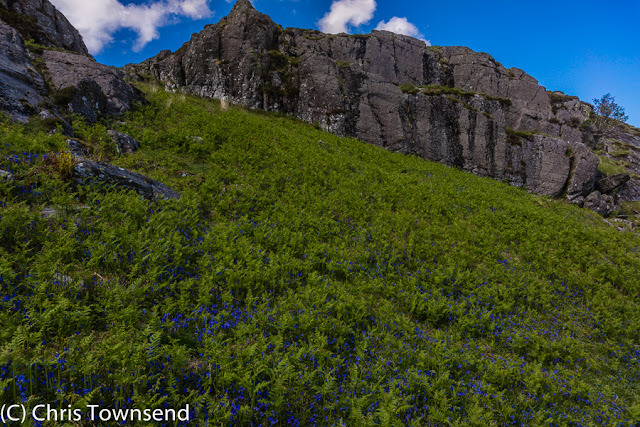 In his Hillwalker's Library column Jim Perrin writes about William Holgate's Arka Tagh: The Mysterious Mountains, a book and mountain range I have to admit to not knowing about before. I shall certainly look for the book as it sounds entertaining and in the vein of Eric Newby's A Short Walk in the Hindu Kush. In the Hill Skills pages there's advice on hillwalking in the Alps from Nancy Chambers of Glenmore Lodge, guidebook writer and trek leader Kev Reynolds, and guide Hilary Sharp, plus a brief look at alpine flowers from Gillian Price, author of Cicerone Press's Alpine Flowers. 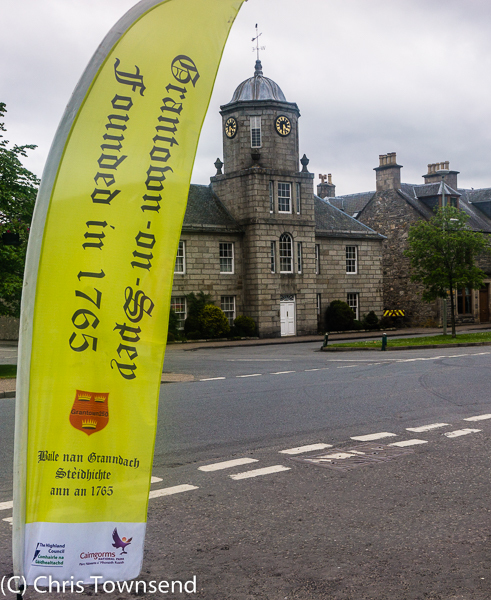 The 28th June sees the 250th anniversary of the laying of the first stone of the first building of the planned town of Grantown-on-Spey, which has been my home for just over 25 years - 10% of its existence. The history of the town can be found in the excellent Grantown Museum, which is well worth a visit. 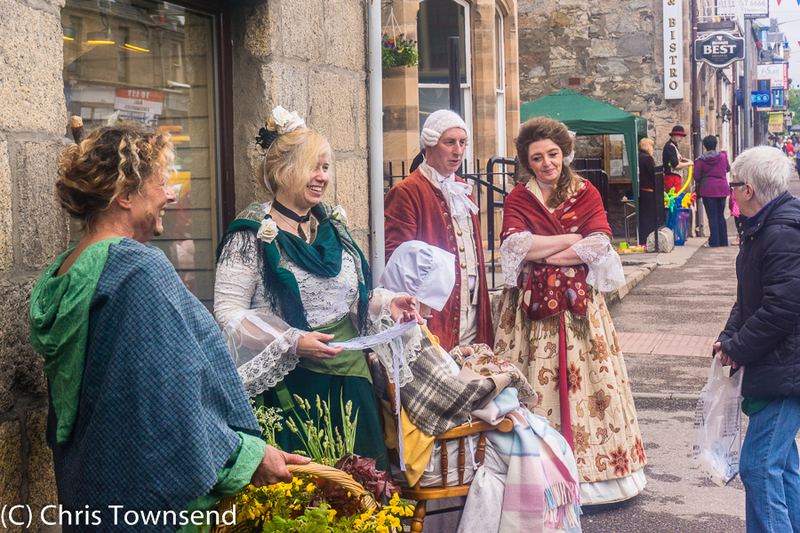 To celebrate the anniversary the town is putting on a series of events every day this week, details of which can be found on the Grantown 250 website. 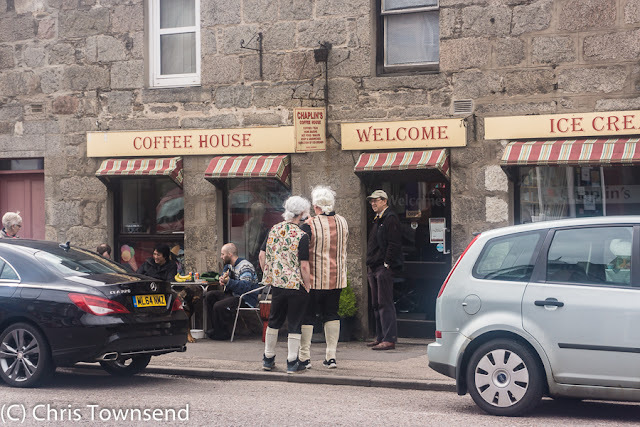 Yesterday was the day for local businesses, especially shops and cafes, under the banner Totally Locally as Grantown is the first town in the Scottish Highlands to join this excellent project. We had a family day out to join in the celebrations and managed to support quite a few local businesses. 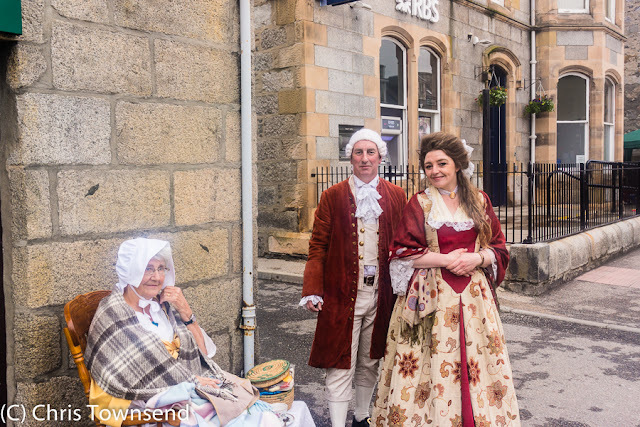 To capture some of the eighteenth century feel there was much dressing up with some impressive costumes and some surreal scenes as 1765 mixed with 2015. 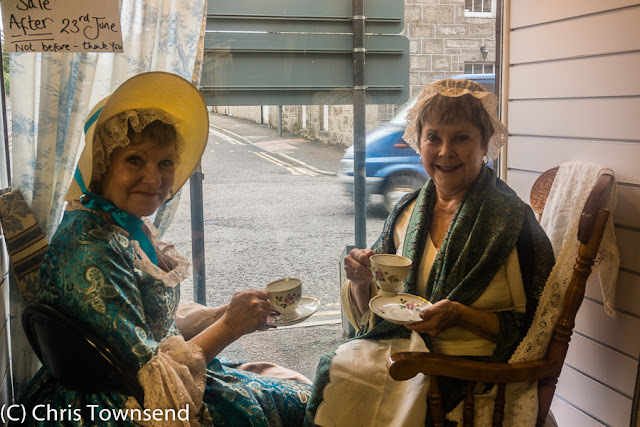 Gentlemen in powdered wigs, ladies in mop caps and lace and big dresses, a hedge-witch and others mingled with summer visitors and street attractions ranging from musicians to stilt-walkers. 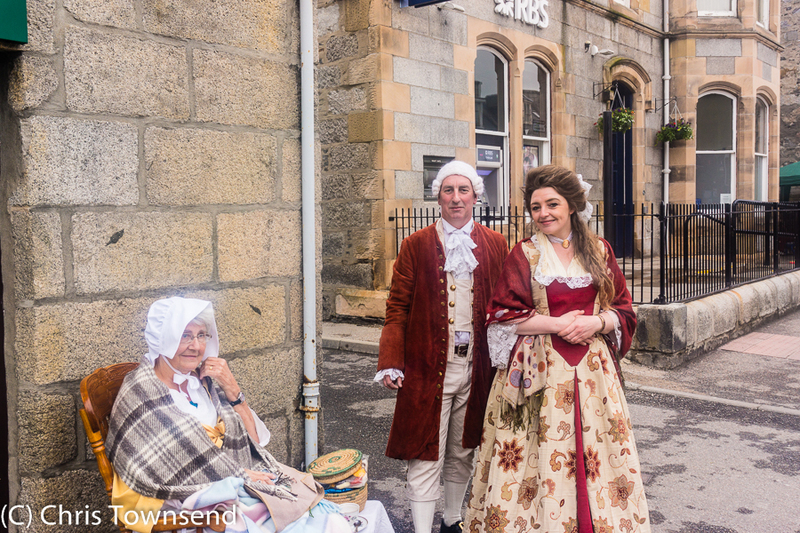 The atmosphere in the town was wonderful, despite the rather dull weather (at least it didn't rain), and it was a grand day. Afterwards we felt that an annual event of some type would be a great idea for the town. 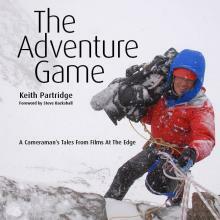 This Thursday adventure cameraman Keith Partridge is launching his new book The Adventure Game in Inverness (Waterstone's bookshop, 7pm). I'll be doing a Q&A session with Keith as part of the launch. Keith's film credits include Touching The Void, Beckoning Silence and Human Planet. I'm looking forward to meeting him. 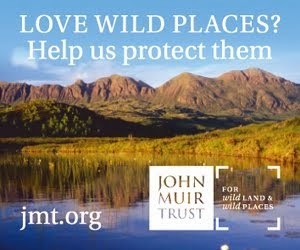 I hope some of you can come along too. You can read about The Adventure Game here. 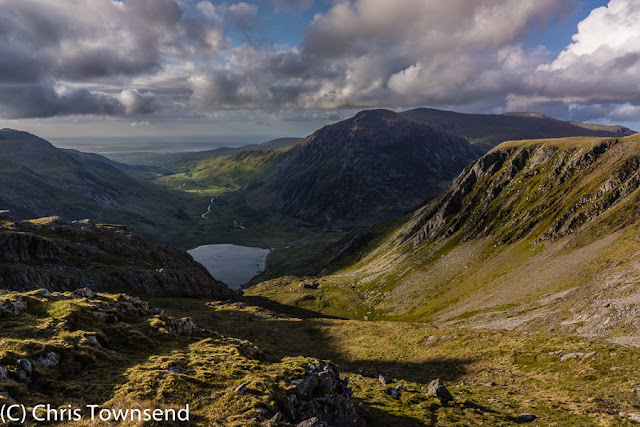 On recent trips, including the one in Snowdonia described in this post, I've been tested some ridiculously light down gear from PHD - the Elite Racer sleeping bag and the WaferLite down vest. 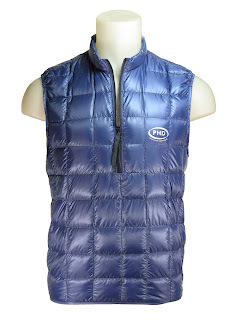 My review has now appeared on The Great Outdoors website here. The Great Outdoors Latest Issue; Stoves, the Pennine Way and Alpkit poles. Here's a quick look at the June issue of The Great Outdoors, which is available now. 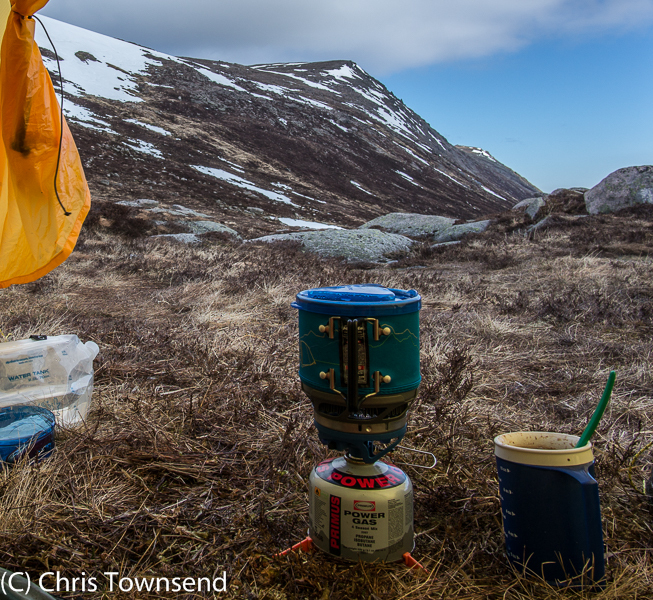 In it I review 11 backpacking stoves plus Alpkit's ultralight CarbonLite Ultra trekking poles. 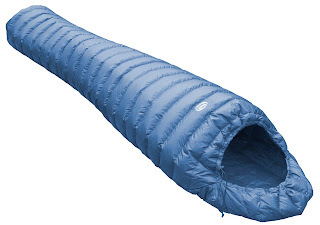 Also in the gear pages Daniel Neilson reviews 8 windproof jackets, and gives Best Buy to one of my long-time favourites, though I see the design has changed a little with what looks a better hood and an extra pocket. My backpacking column is about the Pennine Way which is 50 years old this year and which was the first long walk I ever did. Elsewhere in this issue Terry Abraham talks about making his film Life of a Mountain: Scafell Pike and shares some of his favourite photographs (I'm delighted to be in one of them). There's much more in the magazine too. Jessica Tradati who was in Nepal when the earthquake struck in April talks to people there about it and looks at what is being done; Will Renwick makes a two-day trip over the Welsh Three Thousands; Ronald Turnbull looks at the north faces of 6 Scottish mountains; Ed Byrne goes heli tramping in New Zealand; Vivienne Crow visits the other Borrowdale, Wasdale and Langdale; Daniel Neilson revels in hill running; Carey Davies looks at High Cup Nick; Roger Smith looks at prospects for the environment following the General Election; and Jim Perrin discusses The Lakes of North Wales by Jonah Jones. 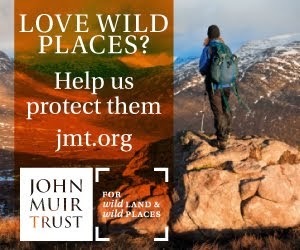 In the Hill Skills pages Myles Farnbank from Leave No Trace gives advice on how to do that plus there's advice on ticks and how to treat sprains and strains. Seven days away, twenty-three hours travelling, twelve trains (and two cars and one van), five nights indoors (outdoor centre, guest house, hotel), three talks on three different topics (and listening to other talks), a day’s filming and getting sunburnt – it was not my usual trip. But amongst it all I did manage to grab one wild camp and some hill walking. 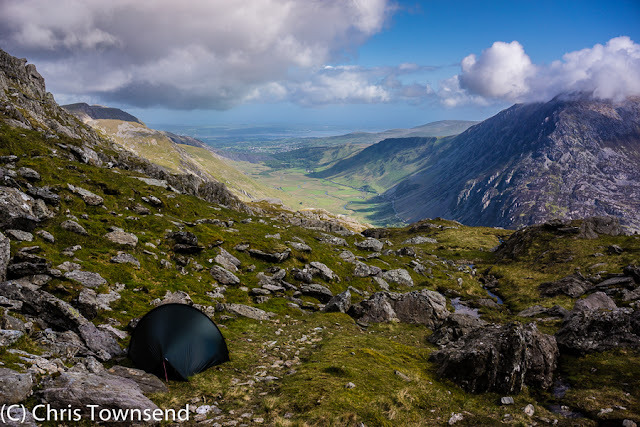 Snowdonia is a long way from the Cairngorms and it took eleven hours from my door to Plas Y Brenin outdoor centre where I would stay for three nights. 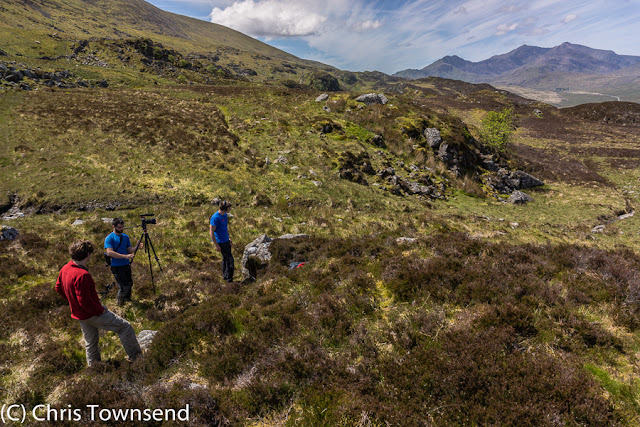 Here I met Carey Davies, the BMC’s Hillwalking Officer, and, the day after I arrived, film makers James and Matt, with whom I had made some hillwalking videos for BMC TV last autumn. On that occasion stormy weather had limited how much we could do (see my post here and the two videos that resulted on BMC TV here). This time the weather was as good as it could be. The only risk was sunburn. 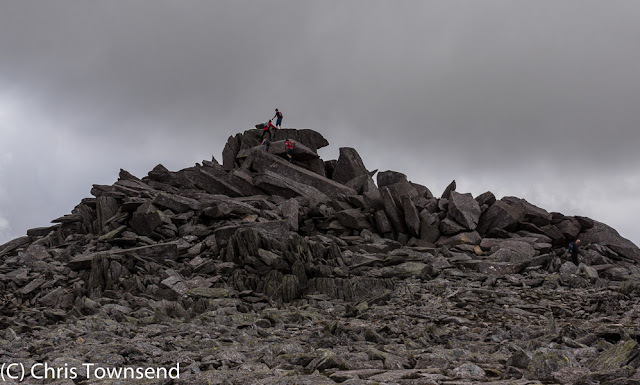 We wandered up through the forest to the open slopes of Meall Siabod and great views of the surrounding hills, especially Snowdon. Here we spent the day making short films on everything from grid references to choosing footwear that will eventually appear on BMC TV. 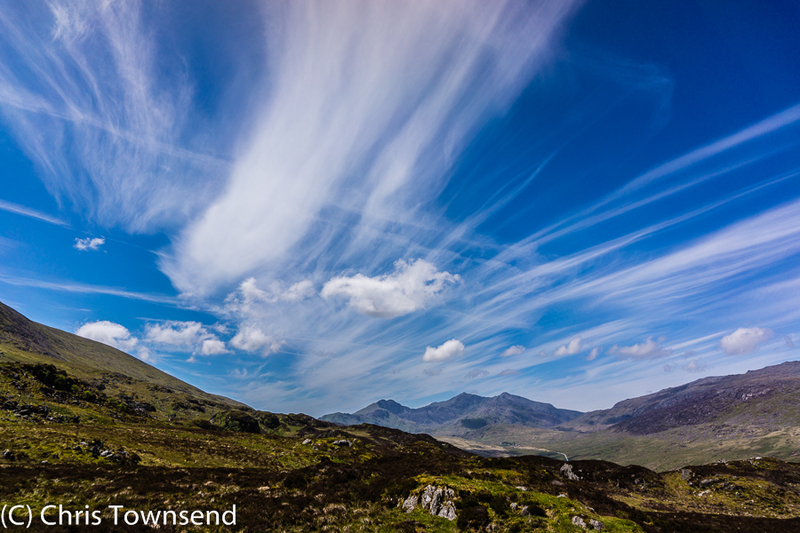 As the day wore on high thin cirrus clouds streaked across the sky, presaging the weather to come. I had other duties in Snowdonia and that evening I gave a talk to the PALOES (Professional Association of Leaders of Outdoor Education in Schools) Conference taking place at Plas Y Brenin. After my talk, which included rather a lot of pictures of igloos, Tori James gave a really inspiring talk about her progress from doing the D of E Award to reaching the summit of Everest. The next day came with heavy rain and high winds. 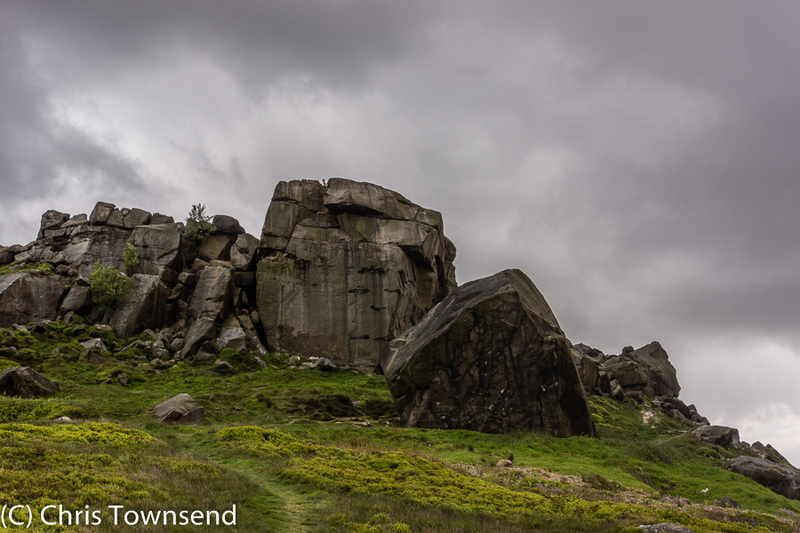 Dark clouds raced over the peaks. I was glad the filming was over. I had another talk to give to PALOES in the morning, following a double act from two MPs concerned with the outdoors, Huw Irranca-Davies from Labour and David Rutley from the Conservatives. I followed their talk of Parliamentary procedures, outdoor education and the difficulties of promoting the outdoors in the political sphere with the Pacific Crest Trail. 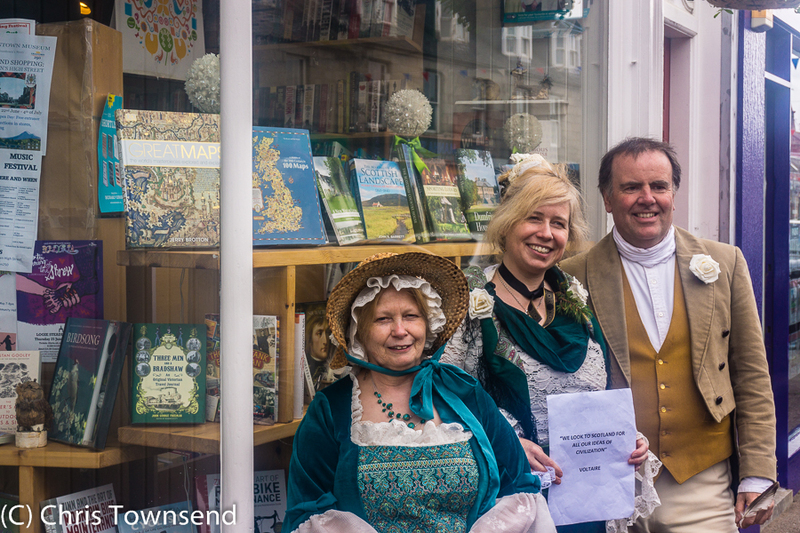 Tori James also spoke again, this time about her Beeline Britain adventure. The conference over I now had two days free before I was due in Ben Rhydding to give another talk, this time to the BMC Yorkshire Area meeting. Two days. Snowdonia. 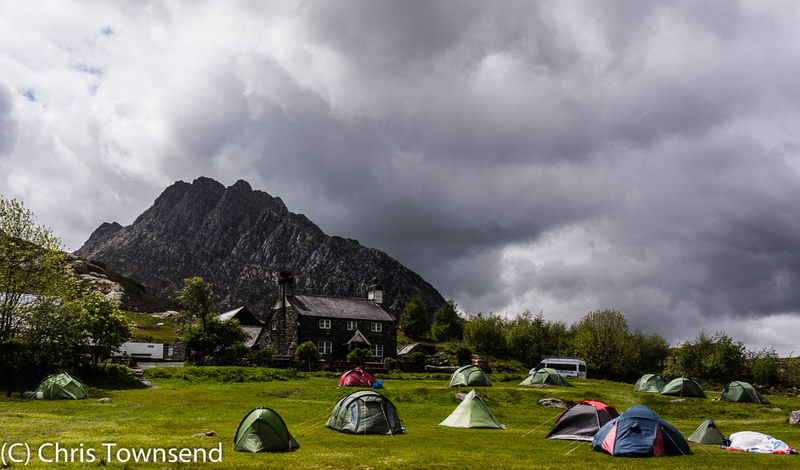 A wild camp obviously. And also some summits in an area I hadn’t visited for many years. 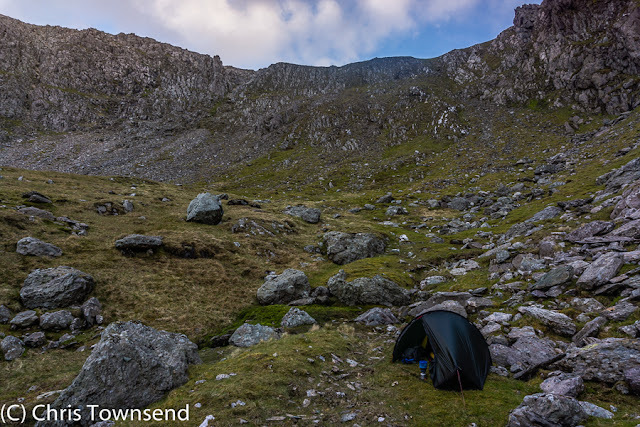 And a wild camp I had, on a very windy night high in the hills. That’ll be the subject of my next post. Back down from the hills it was another night inside, this time the very comfortable Mary's Court Geust House in Betws Y Coed, then back on the trains to Yorkshire on a beautiful sunny day. Arriving with a few hours to spare I took up Carey Davies suggestion and headed for the Cow and Calf rocks and Ilkley Moor. It was just a stroll and the sun was out so I didn’t take anything with me other than a windshirt in case it was breezy. 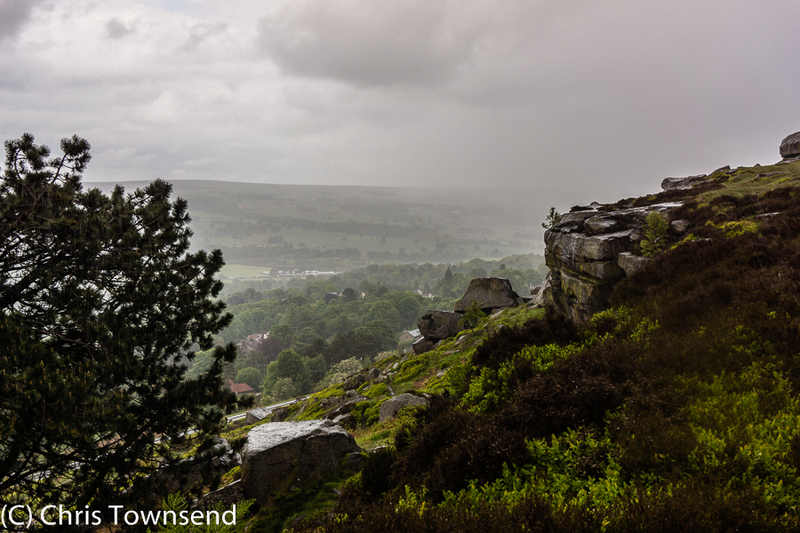 The rain started just as I reached the top of the Cow and Calf rocks, heavy rain driven on a fierce wind. Quickly soaked I soon retreated, back down through green flower-strewn woods rich with that heady after-rain aroma to the warmth and dryness of the Wheatley Arms. 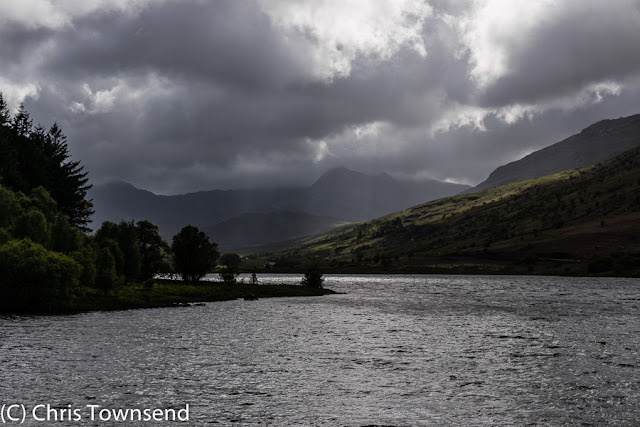 That evening I gave a talk on my Scottish Watershed walk, a walk on which it rained often. I was never as wet on it as I was on Ilkley Moor though. Several of those at the talk were TGO Challengers, most of whom I’d met before, along with some old friends and it was good to meet them and chat afterwards. Also there were old friends John Manning, PCT hiker, TGO Challenger and currently Lakeland Walker editor, and Chris Ainsworth who I’d shared a flat with in Skipton a long time ago. Whilst living there I’d given a talk on my Pacific Crest Trail walk to the Craven Mountaineering Club at the Craven Hotel in December 1984. Now I couldn’t actually remember where or exactly when I’d given that talk. Deidre Collier, secretary of the BMC Yorkshire Area who'd organised this night's talk, had been there though and she did remember. Sometimes I think the outdoor world is quite small. 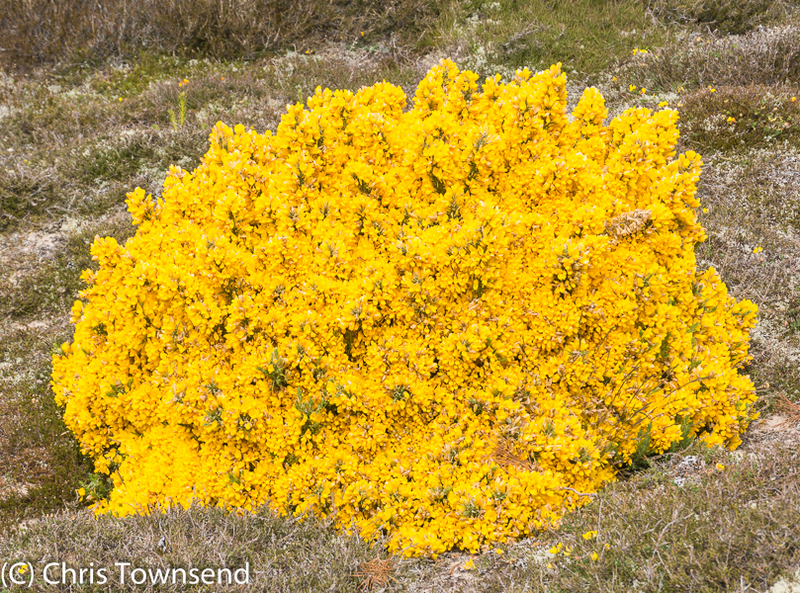 Another day on trains and I was home again after an unusual trip that seemed very long, the filming on Moel Siabod having faded into the past already.